Three weeks ago, I landed in (not so sunny) Singapore after a month of being away from home. I was miles away in Europe, getting lost and finding myself in countries I could not hold a decent conversation in. My Arabic was very rusty, I only knew 5 Spanish words, pretended to be able to speak French and pretty much got away with speaking any German. On top of that, I was traveling alone, meeting up with old friends and new friends along the way. Before I procrastinate any further, I reckon it’s best I write this entry to help any of you wondering souls who are keen to take a giant leap of faith to travel solo. 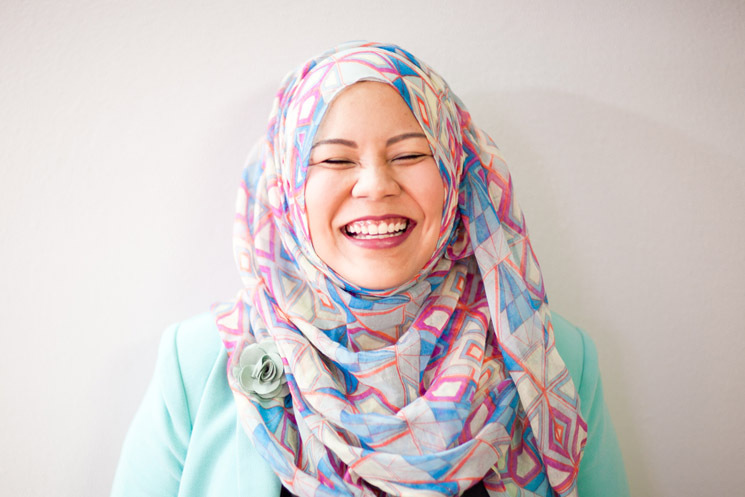 I’ve had the pleasure of being inspired by my fellow solo female travellers, mainly Atikah, Jumaiyah (a close friend and advisor) and Swani, my first couchsurfer back in August. Atikah and Jumaiyah travelled while on exchange and Swani stopped over in Singapore before she embarked on a 3 month backpacking trip in Indonesia. I never had the chance to go on exchange, so I asked myself, if not now, then when? I decided to leave my job, buy myself the tickets and went forth with the biggest adventure I’ve ever had. I started thinking about the trip in May, but only got around to actually planning it in late July and early August. 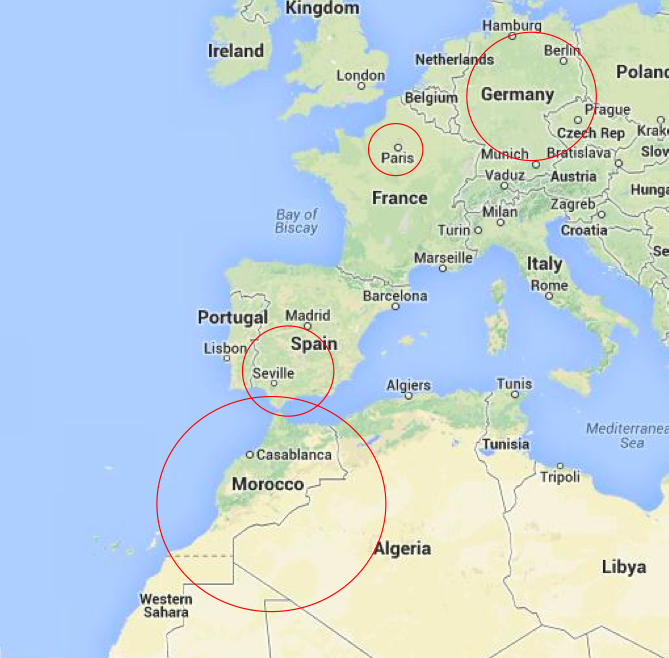 I decided on Morocco, Spain, France and Germany. 5 countries, 10 cities. I had a few friends asking me why didn’t I go to the Scandinavian countries or London. Well, I simply didn’t want to. That’s the fun in traveling alone. You get to make decisions without having to wait on other people. You get to learn how to make the best decisions based on advice you get. 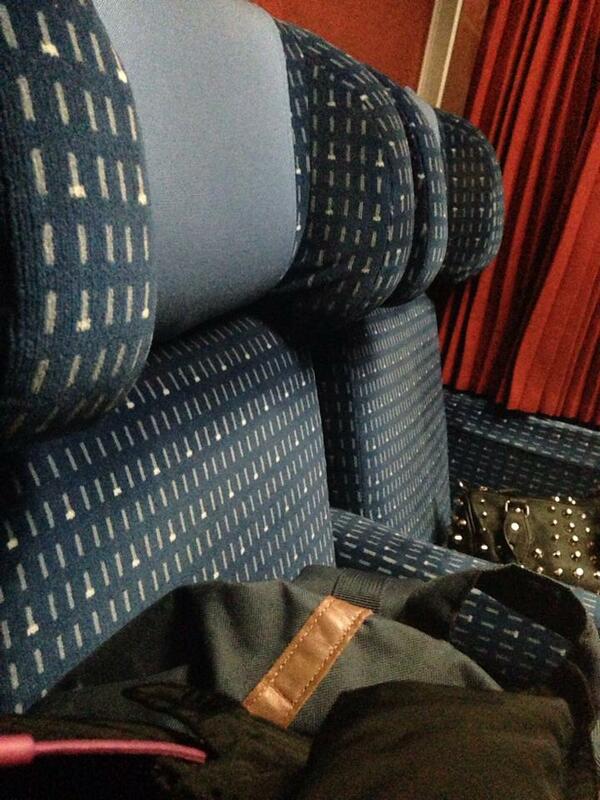 Best of all, you are anonymous when you’re traveling alone. I decided not to include the amount I spent on travel insurance, the baking courses I attended in Paris and the ridiculous amount I spent on food, or rather, desserts. It’s really amazing how my weight didn’t increase as much as I thought it would, but don’t get me started on my gym routine. I’m basically a weakling right now. So below is my route. I started in Morocco and went north, so basically I was preparing my body for the climate adjustment. Morocco was aircon weather, not too cold and not too hot, but as I went further north, the cold was excruciating. Okay I may be exaggerating, but -3 degrees is bloody cold for someone who is named after the sun (Shams = sun in Arabic, get it? okay you don’t have to laugh). So anyways, I decided to land and take a multi-city option with Qatar Airways. Yes, it is a bit pricey, almost twice the amount another blogger spent on her airfare. But I landed in Morocco. How many people can say that they’ve been to Africa? Okay so Morocco, Algeria and Tunisia aren’t really considered Africa, but they are in the African continent! I may have not fulfilled my lifetime ambition of living with a pride of lions but I did step my foot there, and I was a step (okay maybe millions of steps) closer to the big cats. Of course, I digress. I bought my flight ticket in September during the NATAS travel fair from Chan Brothers. I could have bought my ticket directly from Qatar but the website was throwing a sissy fit. I went to NATAS to check out the deals and steal some ideas for my itinerary but I ended up making my own one. So I had the pleasure of Rachel from Chan Brothers to settle the tickets for me. She even made sure my layover in Doha was only 2 hours, since Doha has a reputation for long layovers. The reason why my ticket was more expensive than usual is because I chose to land and leave at two different cities. Also, only two airlines landed in Casablanca – Emirates and Qatar. I landed in Casablanca and left Europe from Munich. I did not want to waste time and keep going back to the same city to transit to other cities. I was very OCD in that sense. Even my traveling route has to be organised. I would recommend you to think through where you want to land. Remember that some airport taxes are higher than others. It might be cheaper to land in a less desirable city if you really want to cut costs. Yeap, your eyes do not deceive you. I spent that amount on my flight from Marrakech to Sevilla, Spain, inclusive of a checked in 15kg bag. Book early. I bought the ticket in September, right after I booked my flight to Casablanca. I booked this ticket a day after I booked the previous one. Once again, book early. Ryanair tickets are cheap, you just have to make sure you don’t do a last minute booking. 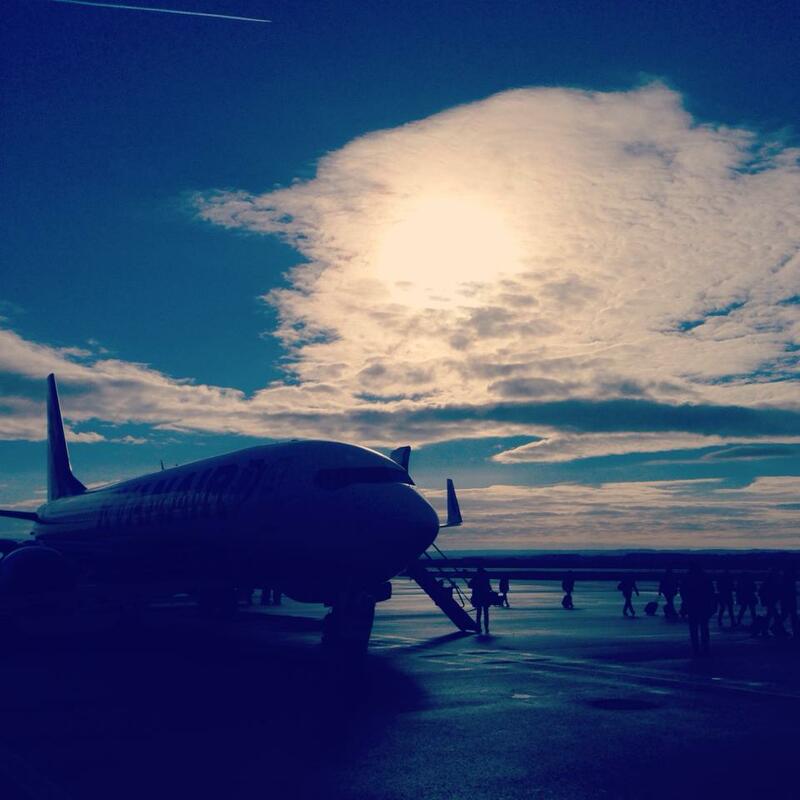 Flight numero cuatro (CDG – TXL) – Lufthansa $88.37 This ticket was a flash deal! I was randomly going through Zuji and checking out the prices and decided that it’s the best deal as yet. This included train tickets in between cities in Morocco, bus fares from airports to city centres (which aren’t cheap by the way), metro tickets and bus tickets in between cities in Spain. In the midst of planning my trip, I found out that a few of my friends were going to be on exchange. 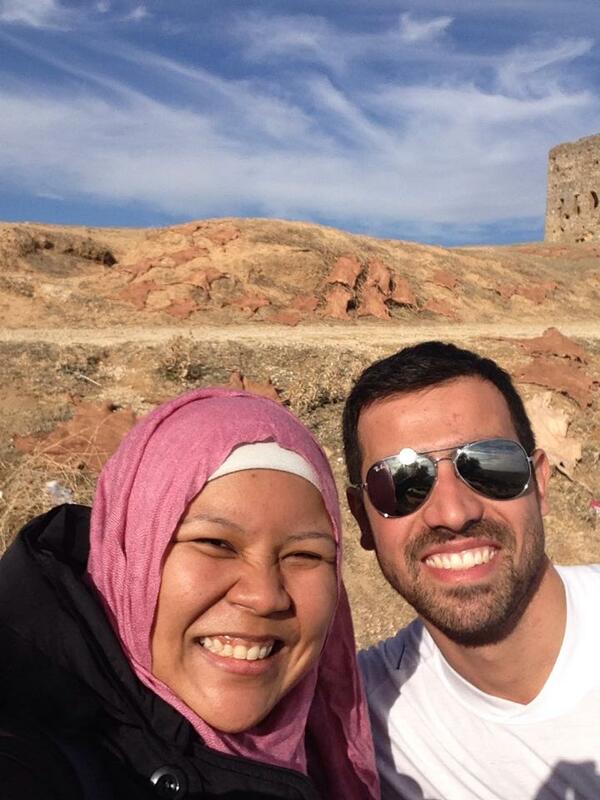 I had the pleasure of their hospitality while traveling, and even managed to squeeze time to travel with Jannah, who was on exchange in Morocco. This certainly helped me in saving accommodation costs. To be honest, the friends I stayed with aren’t really the close ones, but they are the ones I would keep in contact with in years to come. 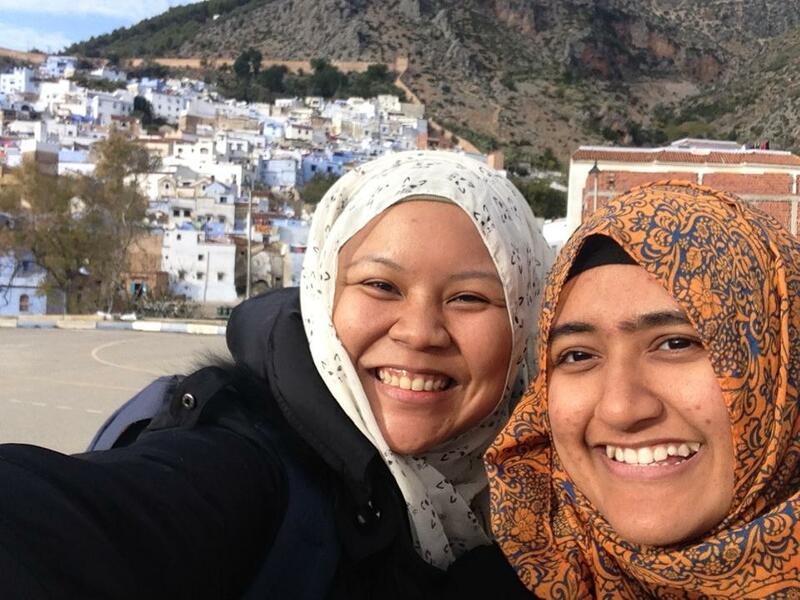 Thank you Jannah for being an awesome host and travel buddy! Need I tell you more about how awesome Couchsurfing is? I set up a profile sometime back and only became active when I welcomed Swani, my first Couchsurfer in August. I could have stayed with Swani in Paris since she moved there in November, but I decided to stay with another friend instead. When I put up an ‘ad’ about going to Berlin, I received numerous invites but Mirjam and Martin’s invite was the most welcoming. They even mentioned that they live with their 2 cats, Leo and Krumel! Cats! Of course I had to say yes! I will write about my first couchsurfing experience later on so watch out for that. I can never thank Mirjam and Martin enough for their wonderful hospitality. 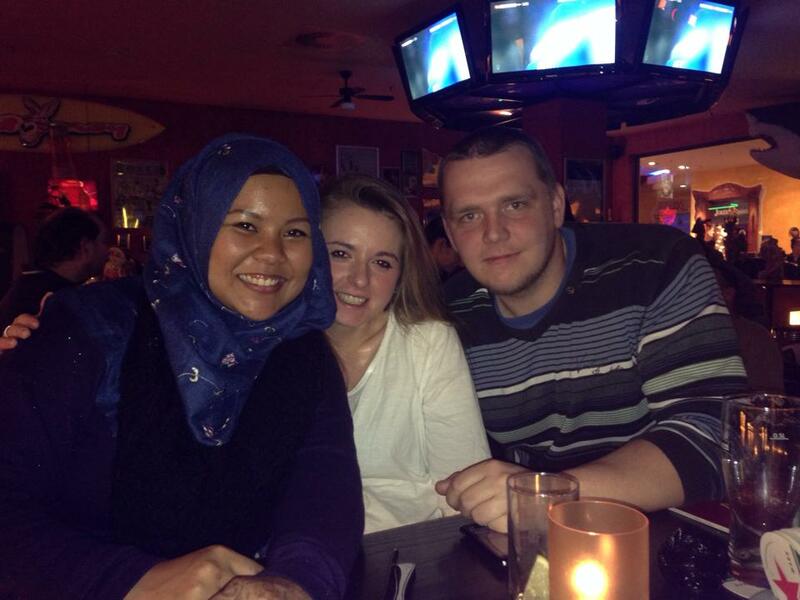 I was a lone traveller, so backpackers hostels were the best way for me to socialise and meet new people. I only stayed in hostels in Fez, Sevilla and Granada since I had a place to stay in the rest of the cities. I paid on average about SGD15 per night on the hostels, with breakfast included as well. I met Ariel from Argentina in the backpackers hostel I was staying in while in Fez! So there you go. It is possible to experience a trip of a lifetime on your own, for less than what you think you need. I have prepared an itinerary so if you’re keen on taking a look just drop me an email and I’ll send it over. For now, I need to sort my photos.